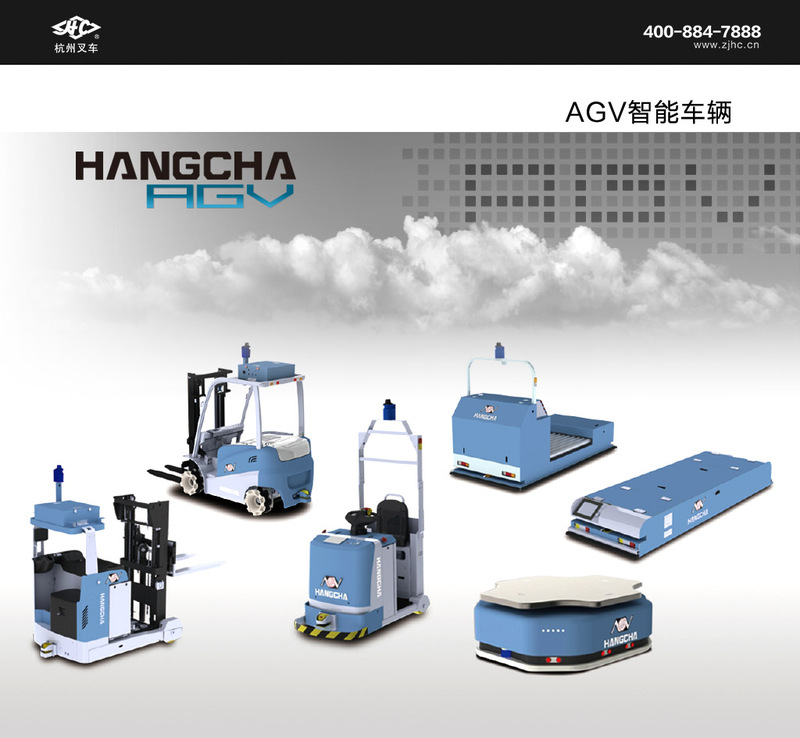 AGV is an abbreviation for Automated Vehicle (Guided). An automatic steering device, equipped with electromagnetic or optical devices, capable of driving along a prescribed guide path, with a safety protection and a variety of functions of the vehicle. 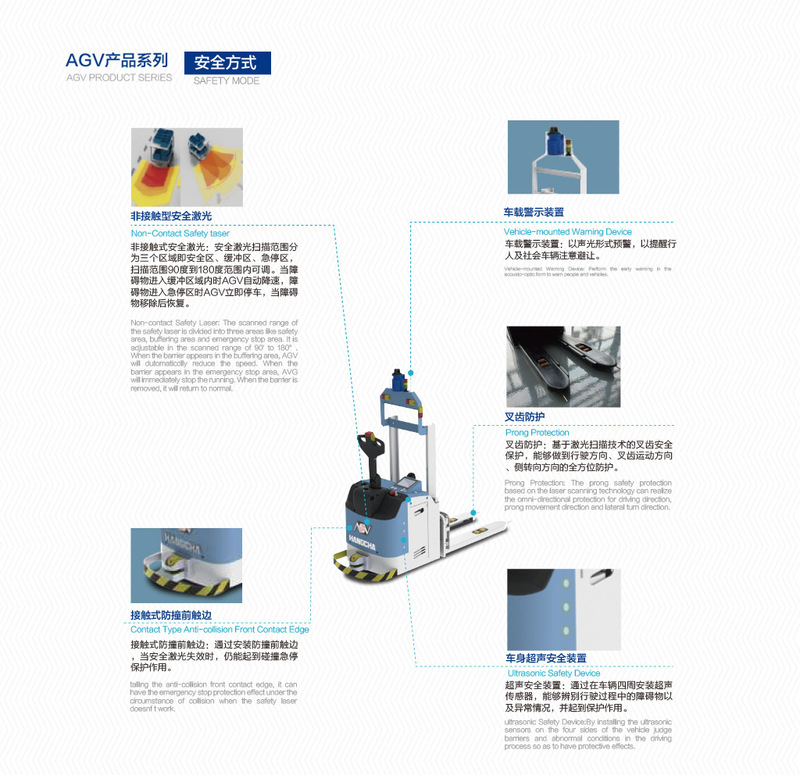 As a leading domestic forklift product supplier, the AGV product system covers a forklift truck, dive type, load type, traction type and light load. 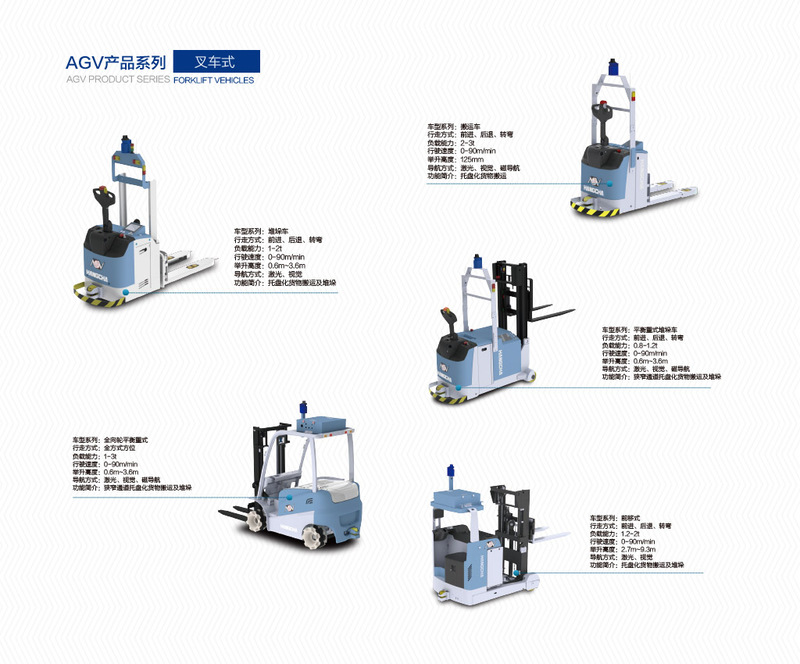 Hangzhou forklift as a domestic leader in logistics as a whole to solve the program supplier, with the most professional logistics technology and rich experience in project. 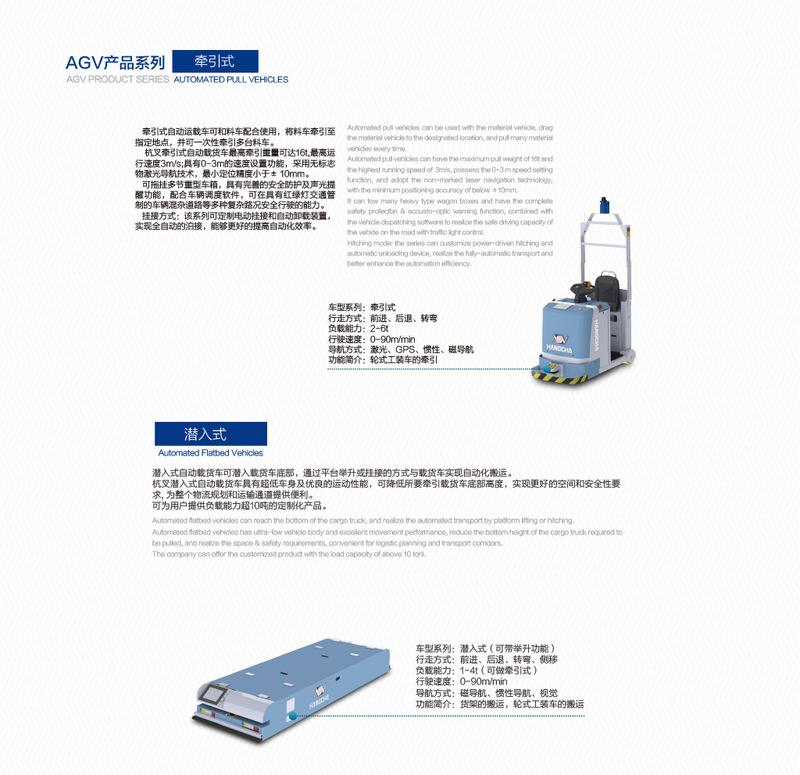 In recent years, according to the characteristics of low efficiency and high labor cost, a series of intelligent industrial forklift trucks, including forklift type, submersible type, traction type and so on, have been developed. AGV. 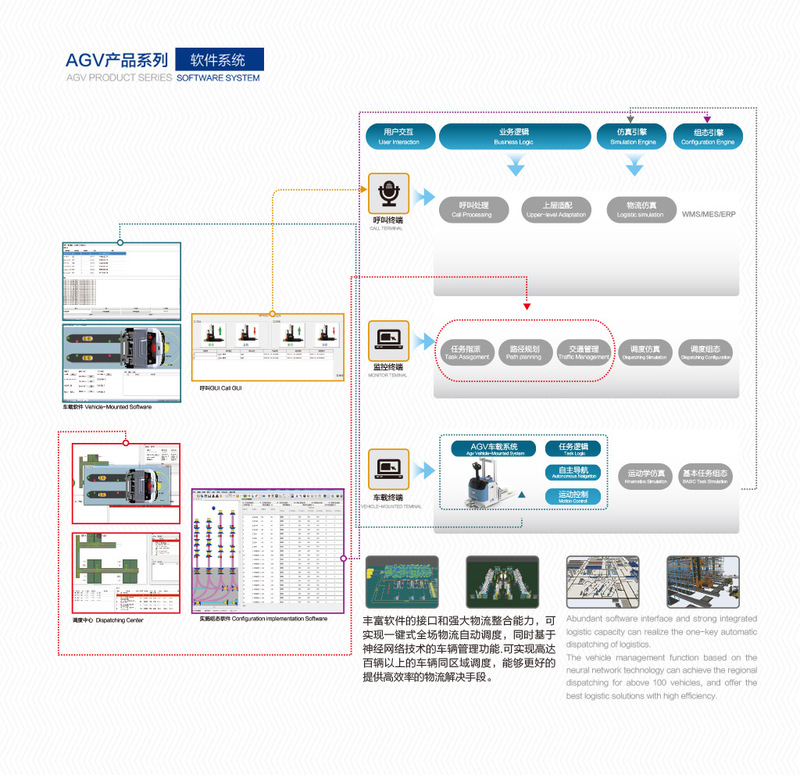 In order to achieve the goal of industrial 4, the design and development of the logistics scheduling and management software, engineering application suite and optional suite. Greatly improve and enrich the product line, provide a strong guarantee for enterprises to improve production efficiency and reduce production costs. The company has powerful technical strength, grasps a series of internationdl advanced tech- nologies required for intelligent mobile robots, like omni-directional movement mechanism & planning control, biped movement mechanism & planning control, robot dynamic path planning & obstacle avoidance, multi-agent cooperation planning & control, robot joint motor driving, robot bus mastering system, unknown environment map building, robot autonomous positioning and navigation, and rapid object recognition & positioning based on robot vision. 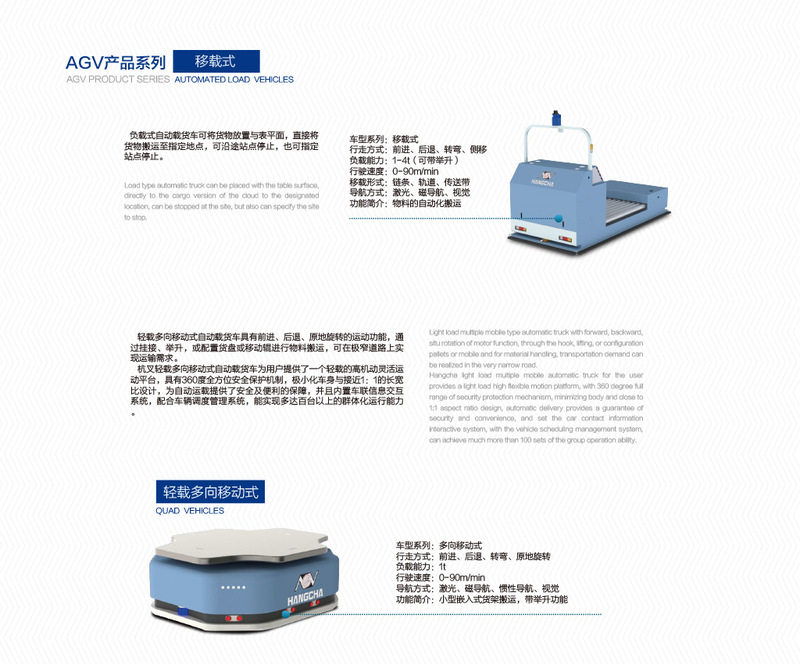 Hangcha group's annual output value of new products rate will reach 30% has been obtained forklift 69 national patents, to participate in national, industry standard formulation of 14, with independent intellectual property rights of the new product more than 50 times won the national and provincial and municipal scientific and technological progress award. 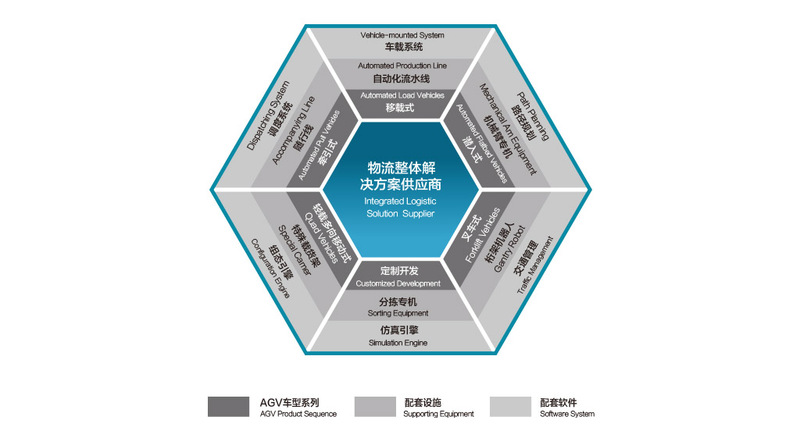 ● HANGCHA automated freight vehicle software system includes vehicle management system software, simulation & configuration software, vehicle dispatching & traffic management software, covers system configuration, task management, intelligent dispatching and logistic information interface, offers the comprehensive information integration capacity and provides the WMS/EMS integrated solutions for customers as required. HANGCHA dutomdted freight vehicle software is the mandgement software system based on graphica丨 interfaces, makes customers learn about the running state & carrying conditions, and timely carries out the warning for abnormal situations, convenient for vehicle group management The system can offer visual project allocation plans and solutions, and completely providevehicle parameter configuration, task status configuration, path planning, operation priority, task information planning and other related information for customers.